The name Deafkids has already been shaking several sections of the underground since the beginning of this decade with its raw mix of d-beat, punk and something more sinister and undescribable, and when there is quality and originality of this caliber, eventually good things happen. 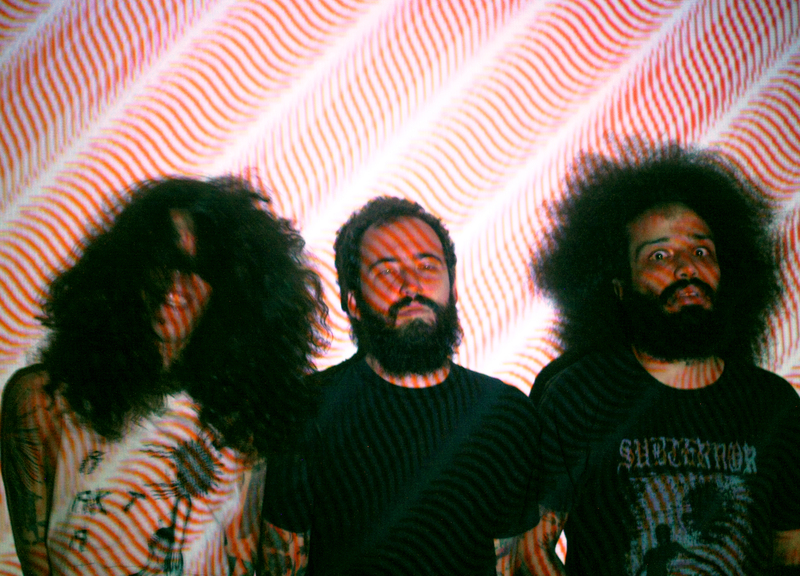 In 2017, the trio initially created by frontman Douglas in Volta Redonda/Rio de Janeiro as a one man band, incorporating bassist Marcelo and drummer Marian after that, reached the ears of the Neurosis guys themselves. As pioneers and bravers of new territories they are, they quickly realised the Deafkids noise is far from the usual norm, having signed them straight away to ther cult label, Neurot Recordings. From the overpowering debut EP, «6 Heretic Anthems For The Deaf», to the more recent «Configuração Do Lamento», a blast of psychedelic horror, only five years passed, but the work left behind by Deafkids already puts to shame many bands twice their age. And it seems they're only getting started.